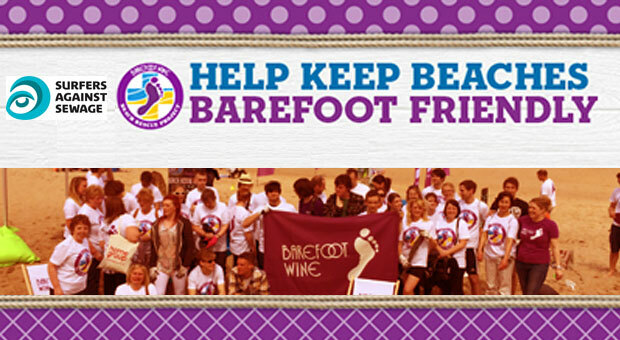 Here at Barefoot, we believe beaches should always be Barefoot friendly. That's why for the past 7 years we've teamed up with our good friends Surfers Against Sewage the UK's leading environmental charity protecting oceans, to help clean our beaches. This summer, we're travelling all over the country to host 14 more beach clean ups and having a blast while doing it! And after each clean up, we like to toe-st a job well done. So don't miss out! Roll up your trouser legs and come take a stand in the sand. Visit us to find a beach clean near you.